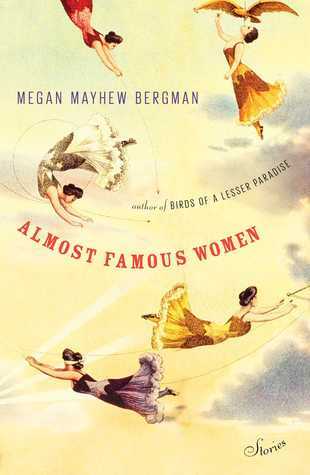 Almost Famous Women: stories By Megan Mayhew Bergman. Brilliant concept and exquisitely written. This short story collection focuses on intriguing, bold and remarkable women from history. It’s edgy historical fiction. These women lived life as they chose to live it which likely made them misfits and outliers during their lifetimes. Author Megan Mayhew Bergman envisioned the voices and back-stories for some truly unique women. She conducted extensive research and utilized her extraordinary imagination and creativity. She gets into the psyches of these women. She provides a voice. She imagines their hopes, dreams, desires, triumphs and disappointments. She plays around with point-of-view. It’s all exhilarating and works amazingly well in this format. There’s brilliance, heartache and triumph throughout these pages. Included are the tragic stories about Lord Byron’s illegitimate daughter and Oscar Wilde’s niece. Other stories tackle the final years of Gone with the Wind actress Butterfly McQueen; the heyday of daredevil and motorcycle trick-rider Hazel Eaton and interracial girl band the International Sweethearts of Rhythm. FTC Disclosure: I received this book for review from Simon and Schuster. This entry was posted on January 24, 2015, 23:26 and is filed under Books. You can follow any responses to this entry through RSS 2.0. Both comments and pings are currently closed.